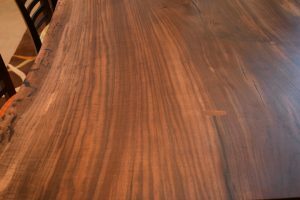 We were contacted by a great couple who wanted a beautiful live edge Walnut dining table to grace there dining area. 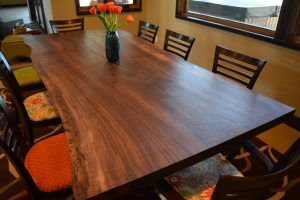 This gorgeous table top is hand finished with rubio monocoat and sits on a set of our sled style bases powder coated gloss black. 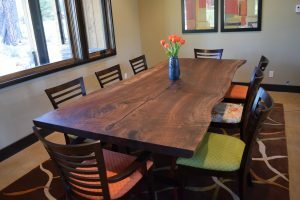 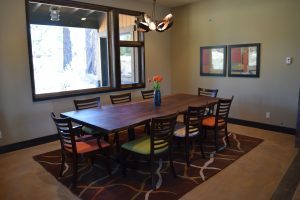 The finished table measures 96″ long by 48″ wide.